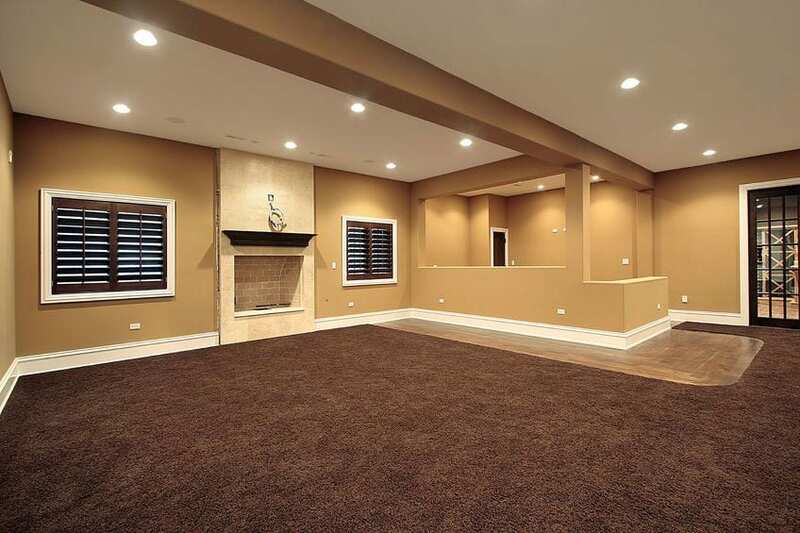 Basement Finishing Contractor Maryland ! 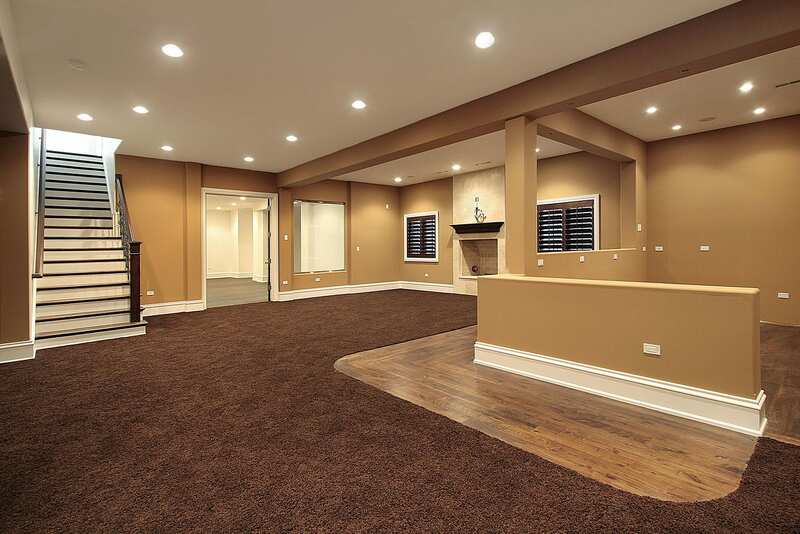 Are you looking for a basement finishing contractor ? Having an unfinished basement in your Baltimore home almost seems like wasted space. Basements have so much potential to be virtually anything you dream it to be. It can be a playroom for the kids, a family room for movie nights, or even an apartment, so your family can bring in a little extra income. Remodeling the basement is a great step for your home, and you can do it with the expertise and guidance from Trademark Construction. At Trademark Construction, we pride ourselves from our abilities to turn most rooms in your home that give you lukewarm feelings to rooms that you feel extremely passionate to have and be in. Your home is one of your biggest investments, so it’s vital that you love everything about it. 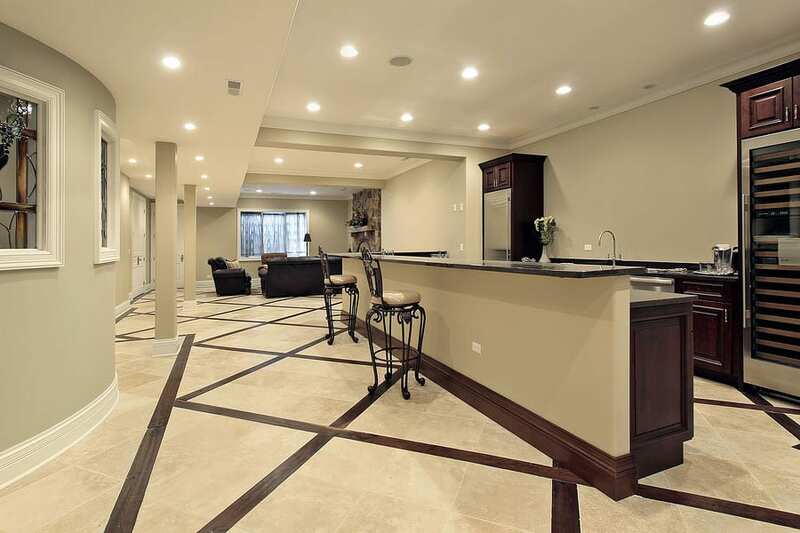 Remodeling your basement is a brilliant idea for your home but there are some crucial details you need to be aware of. Most building codes address the fact you need to have some sort of exit from your basement in the case that there is an emergency situation. Near the bedroom area there must either be window that can be open and will lead you to the outside area. This sometimes means that you will have to plan to add additions to your home. If you are planning on making your basement an apartment to be rented out, you must have a door to the outside put in place. Having exits in place will make sure your home is up to code, and that you and your family will be safe. Most times, basements aren’t built in mind to be an adequate living space. Because of this, you must check to make sure your ceiling is high enough, and that the duct work, and other wires aren’t hanging out in the open. If this is something you come across, our construction team can help relocate the duct work in your home. Placing the wires, ducts, and piping in a place that is hidden is best practice, and will help your basement look like a more livable space. 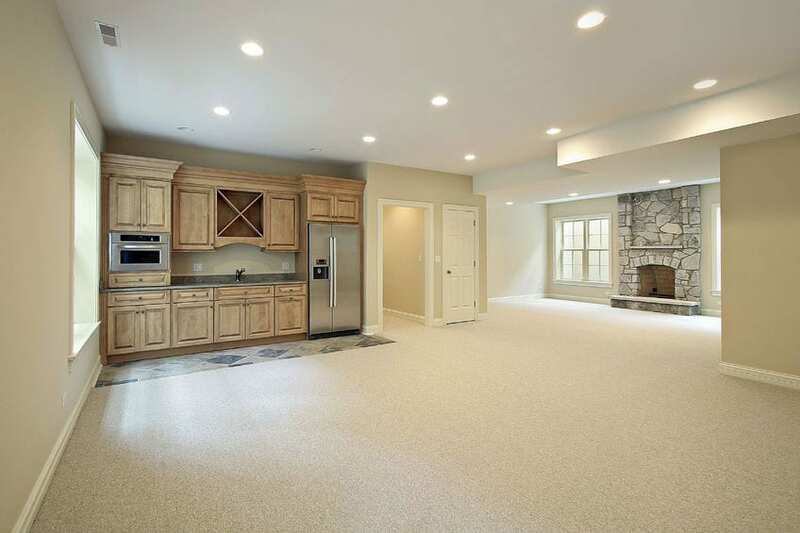 Our construction team is essential for all parts of remodeling your basement in Baltimore. Basements are a common ground where leaking water is discovered. If you notice that there is water or any type of moisture coming through the foundation, it is imperative you fix this issue within your basement, so your remodel will make sense. You can’t fix a leak with just building over it. Don’t ruin your new basement by not taking care of a serious previous problem, such as preventing water damage. 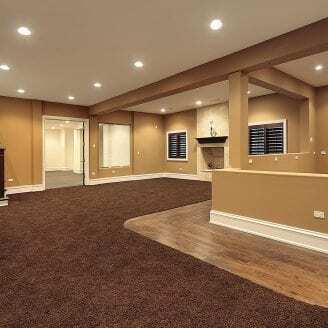 Many people, when they decide to design a finished basement, they want it to have at least a half bath that is fully functioning, if not a full. This can get tricky because the waste lines you need to connect to are a hard to reach. These lines are usually under the concrete floor, if not outside of the home. If this is an issue you run into, you can implement a new sewage system ejection pump, this will allow you to drain the waste from the bathroom safely. These steps from Trademark Construction in Baltimore, are going to help your basement remodel be a smooth and streamlined process. Our team can help you from the beginning blueprints, all the way to the last spec of paint. 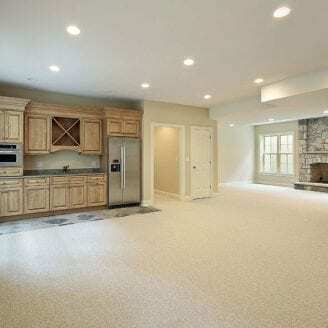 Our team is well rounded, professional, and can help make the concept for your basement attainable. Learn more tips from our next blog, and always call us to remodel your basement in Baltimore!